Production and trading company Valežs was established in 1993. Initially, the major activity was the production and wholesale of dry flavorings. Step by step, having been recognized and gained popularity in the Latvian market, the company expanded its scope of business and started the production and release of combined spices by our own recipes. 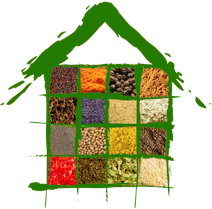 In the range of the company there are more than 100 kinds of spices, flavorings and seasonings, including mixtures developed by own recipes in view of the tastes of customers. Spices by Valežs outmatch in quality the products of many other companies both local and foreign. Valežs has its regular customers abroad Latvia, particularly in Estonia, Ireland and the United States. We invite you to taste the spicy treasures by Valežs!